Well, they did it. The California State Senate passed AB 144 and it has moved on to the Governor. I just don’t see him not signing it either, unless there is a big enough push from the voters overwhelming his office with opposition to the bill that he has to veto it. So write the Governor, call him, or email him. Swamp his office. I have. Also, he has to actually veto the bill for it to not become law. There is no “pocket veto” in California as there is at the federal level. If he does not sign it, it automatically becomes law in 30 days. That may be how he decides to handle it too. Just leave it alone, and in 30 days it becomes law, and he can say that he didn’t sign it – the weasel that he is. This bill will without a doubt be overturned in the Courts, but it may take some time for that to happen. So in the mean time, we, the law abiding citizens, we the people, pay the price and become more vulnerable in the public arena. The bill is so obviously unconstitutional that it’s amazing that the liberals in Sacramento couldn’t see it. But then, they don’t care anyway. The Constitution just gets in the way too much for them, so why not try and see if they can get away with it. However, if the State decides to change their policy on concealed carry from “may issue” to “shall issue”, then the court may uphold the law. 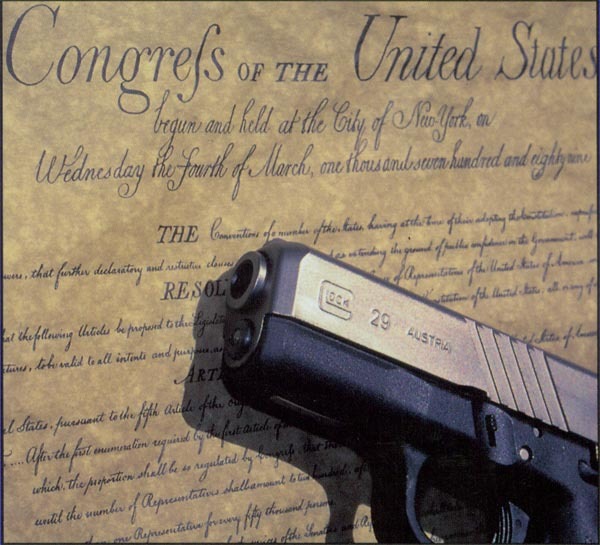 If the courts see that mechanism as a means to satisfy the Constitution by allowing us to “bear arms” if we just obtain a permit, then they may uphold the law. But I don’t see the liberals changing their minds on that one either. So, in the mean time, we’re screwed. Welcome to the Left Coast. On this auspicious day we are all drawn to memories of where we were ten years ago and just how we came to be aware of the incredible occurrences on the east coast. I of course am no different and remember thinking that that first plane must have been an accident. Growing up, I had heard a few times of small planes that had accidently crashed into the Empire State Building before they developed no fly zones over the City. Because of those memories, I naturally thought that it must have been an accident, as no one could conceive that someone could be so villainous to deliberately cause such a terrible crash. We watched hoping that they would get the fires out soon. I, the contractor that I am, wondered about the fire sprinkler system and why it wasn’t doing its job. It must have been compromised in the crash, I thought. Then, the second plane crashed into the building as we all watched. That moment of horror, as we all realized that this is no accident, is probably the most vivid of all our memories. There, before our eyes, was evidence, that terrorists, yes terrorists, had actually aimed planes at these two buildings filled with people in a deliberate act against our country. 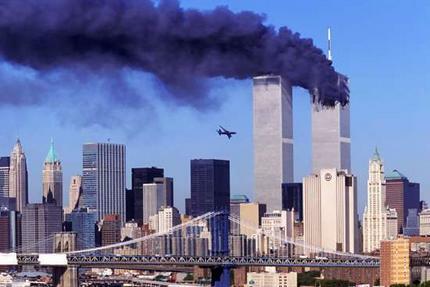 There was not much daily talk of terrorists prior to 9/11/01, but we weren’t oblivious to the fact that there were those in the world that might take aim at our country. After all, they had tried to bring down the towers once before when a truck bomb went off in the parking garage below one of the towers. But that attempt was not very successful, and in the aftermath, we had confidence that terrorists were largely incompetent, and would never be able to do anything major in this country. Then on September 11, 2001, there was suddenly evidence that they were obviously behind this horrific act that was unfolding before our eyes. This was no accident. Somebody had actually planned this out and sent people on a suicide mission to hijack two planes that would kill so many innocent people. In that moment, everything changed. We would, moments later find out that two more planes had also been hijacked. Our world, as we had known it, would be, forever different. How? We did not really yet know, but we knew that things were now different. Our shock would turn to bewilderment, to anger, to sympathy, back to anger, and disbelief – disbelief that someone could be so callous. But there it was. As we came to realize that this had to be terrorists, we started to speculate on who could be the mastermind. We knew it had to be Muslims. Who else could be so callous? We had seen them before, using the name of their god and religion to justify some other heinous bombing somewhere else in the world. And what about that? What kind of religion would place such a small value on human life, that they would sacrifice the life of a devotee and those of other innocents who may be in the vicinity, to make a statement? How could this be a religion at all? Our ignorance of Islam is what would not allow us to come to grips with this. Our religion, and to our knowledge, most other religions, preach the love of life, love of God, love of fellow humans, love, love, love. How could a religion be so, so….. demonic. In that moment, we knew that Muslim terrorists had somehow, and for some unknown reason, committed an act of war against us. In that moment, we would all come together, united in our own disbelief, horror, sympathy and resolve. Then, as if our disbelief and horror had not been tested enough, at 9:59, the South Tower collapsed. This pillar of American financial might, just crumbled before our disbelieving eyes. Again, I as a contractor, had never conceived that it would be possible knowing how buildings are constructed. It took only moments though for me to understand what must have happened. The heat was so intense that the columns and beams folded and could no longer support the millions of pounds of weight above such that it just came down. The horror. Those people. My God. Run! Everybody Run! Does this mean the other tower will come down too? It must. Please God, get the rest of the people out of there. And of course, the second tower did come down. We just found it so hard to believe. We looked for someone to make some sense of it all. Thinking back today, one other reoccurring thought I have is how glad I was glad that we had the President that we did. Could you imagine how different it would have been if the vote almost one year prior had provided a different result? Could you ever imagine Al Gore in the White House at that moment and how different things would have been? My belief is that this country is so fortunate that our God had made sure that such a strong person as George W. Bush would be our leader in such a time of crisis. Thank you God. And now, on this tenth anniversary, I am embarrassed that we would have the President that we do in the personage of Barrack Obama. That this man would actually attempt to stand up and speak for our country on this auspicious day is another sad moment. This man does not respect this country. He is not a leader. He acts in so many ways as he does, to stifle this country, stifle our belief in God, and to bring this country down. As I see him stand at the memorial speaking, I am embarrassed.